Ultimately ovarian cancer pertains to the growth of cancerous cells in one or both of the ovaries. The ovary is a small organ that is located within the pelvic area at each end of the fallopian tubes extending from the uterus. Women have two ovaries, which store eggs for pregnancy as well as produce estrogen and progesterone, two vital female hormones. These hormones are responsible for regulating breast development, body shape as well as to control menstrual cycles, pregnancy and organ function as a whole. Each month, an egg is released from the ovary through the fallopian tubes to the uterus in a process we call ovulation. According to the American Cancer Society, ovarian cancer makes up 3% of all cancer cases among women. However, according to the National Institutes of Health it causes more deaths than any other cancer of the reproductive system altogether such as cervical or uterine cancer. The ACS also reports that about 21,290 women in 2015 alone will receive a diagnosis for the cancer and nearly 14,180 women will die from the disease this year. Ultimately a woman’s risk of getting ovarian cancer in their lifetime is just 1 in 73 and her lifetime change of dying from the disease is 1 in 100. This cancer commonly develops in older women with half of those women 63 years or older and white. Unfortunately there is little known about the specific causes of developing this debilitating disease. 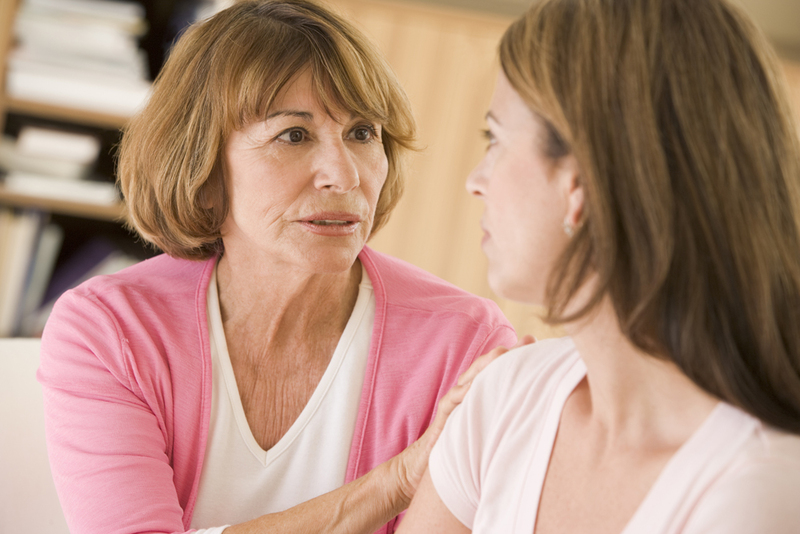 Also, specific symptoms of ovarian cancer are not commonly reported. This makes ovarian cancer very difficult to detect. Early detection remains the best chance for survival. After all, according to the ACS, the rate at which women are being diagnosed with ovarian cancer has been slowly falling over the past 20 years, simply because these women do not know they have the disease until it has developed too fully to treat, resulting in the increased rate of death with ovarian cancer. While every woman is in fact at risk for ovarian cancer, certain risk factors may put some women at a higher risk of developing it. According to the Mayo Clinic, some of these risk factors include: increasing age, never being pregnant, the use of hormone therapy for more than 10 years for infertility or menopause as well as a personal or family history of breast, colon or ovarian cancer. Mutations on the BRCA1 or BRCA2 genes place a woman at high risk for ovarian cancer. A blood test is used to determine if these mutations exist. While the disease as a whole cannot be prevented, American Cancer Society reports that there are some things that may help to lower a women’s risk of developing ovarian cancer such as early childbirth before the age of 26, breastfeeding, extended use of birth control pills, hysterectomy or tubal litigation (permanent birth control for women commonly known as tying one’s tubes). The best way to screen for ovarian cancer is with regular gynecological screenings discussing any discomfort, unusual cycle changes or symptoms. Unfortunately ovarian cancer cannot be detected through just the use of a pap smear. There are a series of ovarian cancer symptoms that patients may feel, however it’s important to note that not everyone experiences all or some of these, they are just commonly reporting symptoms. According to the National Institutes of Health, a woman with ovarian cancer may experience weight gain or loss, abnormal periods, a heavy feeling in her pelvis, pain in the lower abdomen, bleeding, unexplainable back pain, gas, nausea and/or vomiting and loss of appetite. A pelvic exam is often the first step done after a patient complains of pain or discomfort in their abdomen. A pap smear may also be done at this time. While it cannot test for ovarian cancer, it can recognize any changes in the cell leading to other more advanced tests. A trans-vaginal ultrasound may also be needed which can take detailed pictures of the organs of the female reproductive system. According to the U.S. National Library of Medicine, a specific blood test can be done called a CA-125 analysis, which is a common tumor-marker found in the blood of women with various ovarian cancers. Other tests may include x-rays of the lower abdomen or a CAT scan. Once ovarian cancer is detected, a biopsy will be done where a tissue sample is removed from the body. If cancer is present, an oophorectomy may be performed, where the ovary is removed, in order to prevent future spreading. Once cancer is determined, the carcinomas are tested in order to be staged. Once ovarian cancer is detected, the cancerous cells are examined under a microscope and categorized by a cell type. From there they are graded according to how severe they are and the stage of progression (in terms of growth and spreading), the Mayo Clinic reports. Stromal cells, which release hormones and connect to different parts of the ovaries themselves. Those with epithelium ovarian carcinomas account for nearly 85-90% of all ovarian cancer cases and it is the hardest to treat. Patients with germ cell malignancies have a 90% chance of surviving as well as those with stromal cells, which is considered a low-grade cancer and easy to detect early on. In terms of staging, there are four stages of ovarian cancer with Stage 1 being early in the disease to Stage IV which is an advanced form of the cancer. A patient’s plan and prognosis will vary based on the stage of cancer they have. Ultimately treating ovarian cancer can be a complex process. According to the National Institutes of Health, each treatment option depends on the grade classification, stage, carcinoma type and the extent of the invasion of the cancerous cells in the body. Because many of these options don’t ensure remission, recovery or even survival, the quality of life for the patient is also taken into consideration. Generally surgery is performed first to remove any growths or carcinomas in the body. A hysterectomy is also performed to remove whole reproductive organs that may be affected by the cancer or have an increased chance of developing cancerous cells. Depending on the progression, the inner lining of the stomach and intestines may also be removed as well as lymph nodes in the area. According to the ACS, the more that the cancer has spread, the more that will be removed during this surgical procedure. Chemotherapy typically is used. This uses prescription drugs to help stop remaining carcinomas from spreading after surgery. It also helps to relieve the patient of symptoms and control future growth and spreading of tumors. It is typically administered by a catheter or through IV injection. In some instances, it can be taken orally. Radiation therapy, another topic, works to kill cancer cells in the body with high frequency energy rays. This is done using a machine on the infected area of the body or internally with the use of a catheter. There are various side effects with the use of both of these therapies including diarrhea, lack of appetite, nausea and vomiting, headaches, hair loss and skin darkening, to name a few. A newer type of cancer treatment, targeted therapy, uses drugs to both identify and attack cancer cells while doing minimal damage to other cells in the body. According to the National Institutes of Health, some drugs that have shown promise include Avastin and Votrien. Generally a woman’s prognosis depends on when she was diagnosed. Nearly 3 of 4 women diagnosed with ovarian cancer survive a year after being diagnosed and nearly half of those women live longer than 5 years. Ultimately, if the diagnosis is made early enough and treatment is received quickly before the cancer spreads, the 5-year survival rate is extremely high, the National Institutes of Health reports. According to the Ovarian Cancer Research Fund, most women diagnosed with Stage III ovarian cancer have a five-year survival rate of 34%. According to the Ovarian Cancer Research Fund, new research shows promise with new chemotherapy drugs such as Yondelis and Belotecan. Many drugs such as Carboplatin and Cisplatin are known to stop working. Many studies are being done to make cancer more sensitive to these drugs again after they cease to work. Another study looks at giving IV chemo with heated drugs known as heated intraperitoneal chemotherapy (HIPEC), which can be toxic. More studies still need to be done comparing them to standard IP chemo to see their benefits. Researchers are also looking for ways to screen women for the disease more easily. Using a test called OVA1, they have found a pattern of proteins in the blood (proteomics) that seem to detect the cancer early. This test can label women as low risk or high risk. While the test is not a screening test, it is meant for use with women who have ovarian tumors that may lead to a cancer diagnosis. However researchers are looking for a way to incorporate the test into becoming a screening tool for all women. Jessica has written health content for MD Save, Inc., Livestrong.com, Exercise.com, Demand Media Studios and blogged for healthtree.com and haymoreendodontics.com. She also writes regularly on plastic surgery and weight loss surgery weekly for private clients. She holds a degree in journalism and media studies from Rutgers University. 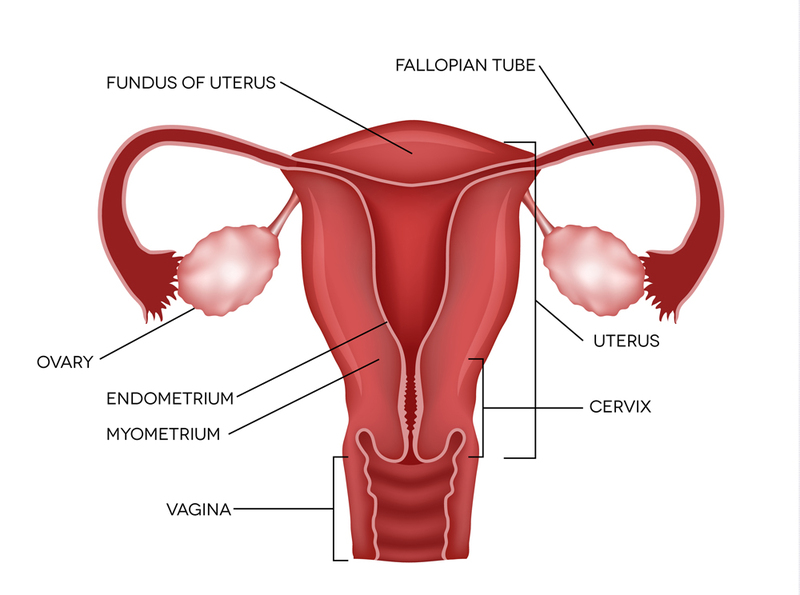 It should be noted that in most cases of “ovarian” cancer, the cancer actually is a Fallopian tube cancer. So, by the time it reaches the ovary, it has already metastasized. This new understanding of the origin of these “tuboovarian” cancers may lead to improved diagnosis in the near future.